As the second largest producer of ethanol in the United States, Nebraska is an excellent source for buyers interested in importing ethanol as well as co-products from ethanol such as dried distillers grains and corn gluten feed. Nebraska’s investment in irrigation ensures that the our state’s ethanol plants have feedstock that is consistent in both quality and supply. While corn is the primary feedstock for most of Nebraska’s ethanol plants, grain sorghum, a historically important drought-tolerant crop for Nebraska, is starting to be utilized as well. 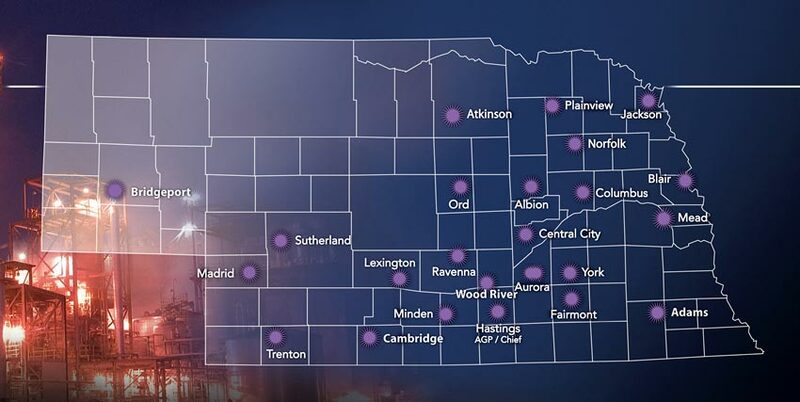 A list of the roughly two dozen ethanol plants located in Nebraska can be found here.